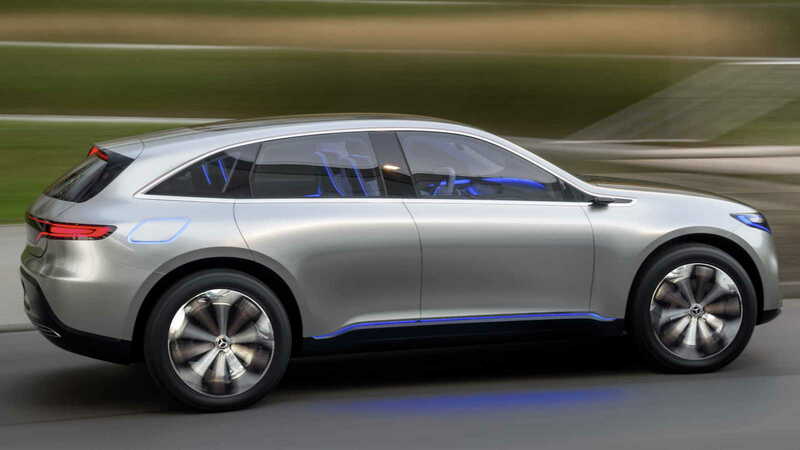 Who needs a Tesla, when you can have all the luxury Mercedes has to off in a fully electric package. Check out the new Generation EQ. That’s a pretty bold tagline, but it is true. Mercedes was the first company to invent and mass produce the automobile. It seems as soon as Karl Benz figured out how to slap an engine into a chassis, more innovation followed naturally. He soon began pumping out vehicle after vehicle. It has been a long time coming, and finally, the Generation EQ is soon making its debut. Powered by two electronic motors you can expect an output of up to 300kw or 402 hp. The exterior uses ambient lighting to give it a more futuristic appearance, while the cabin fixed the problems the Tesla faced with its simplistic styling. Instead, the Germans expanded upon it by creating an elegant, yet user-friendly appearance. This car is set to be released by the end of this decade. >>Join the conversation about the Generation EQ right here in MBWorld. 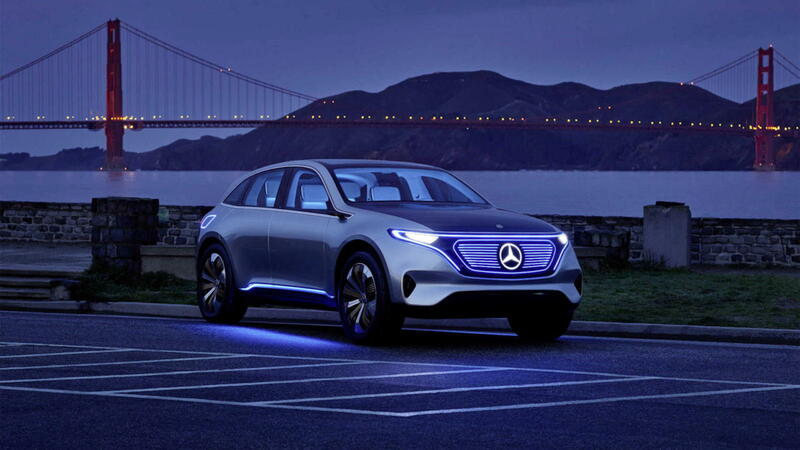 One of the things that’s remarkable about this car is its ability to use ambient light to create what Mercedes calls the electro-look. It's a combination of retro and modern approaches to futuristic vehicles. Walking by it, one might think about a light-bike from the Tron series. Upon closer inspection, you will notice the starkly centered Mercedes emblem onto a glowing front grill. The hood lines flow seamlessly through the panoramic glass roof and handle-absent door panels. It delivers the same aggressive flair seen in modern Mercedes vehicles, while adding a certain allure that can only be described as imaginative excitement. The Tesla Model S was seen as the perfect realization of the future car everyone thought and dreamed of. It had fully functional auto-pilot software, a high mileage range, and great performance. However, its interior fell into a void of simplicity that had many luxury car owners scratching their heads, wondering why? It’s not that it’s ugly, it's just missing things that should be included given its price point. The Generation EQ sets the bar here, increasing the overall storage area, and keeping true to its contemporary style without limiting the functionality of the vehicle. 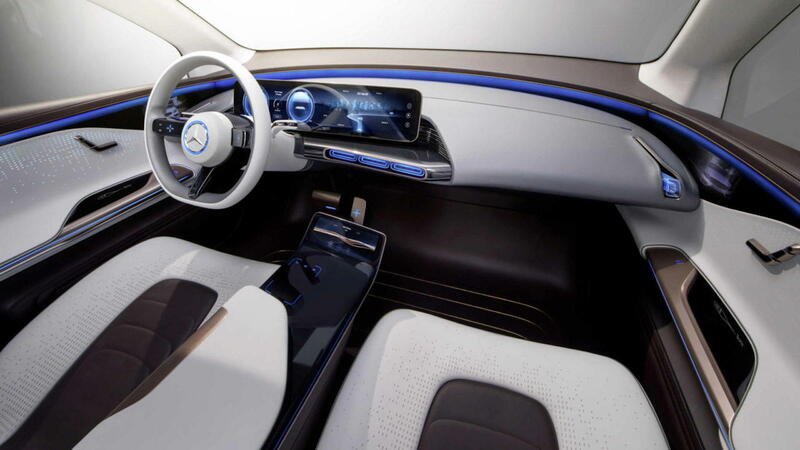 It combines the quick response of a touchscreen system with the layout of a conventional vehicle, making it easy to adjust to the change in equipment. 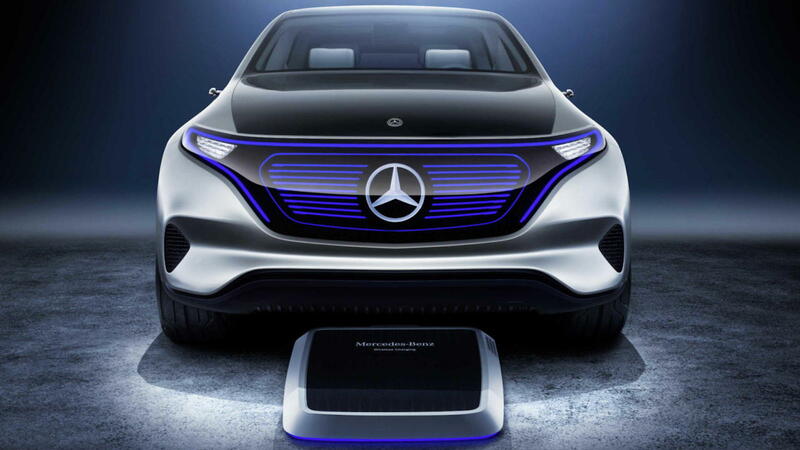 Innovation isn’t always about completely changing what exists, but instead refining what’s there to better suit the world and Mercedes has done just that. We’re a long way away from the initial cries from the angry critics who would complain about the poor life expectancy seen in batteries. Nowadays, they’re expected to last well over 150,000 miles while maintaining more than 90 percent of their power output. The Generation EQ is set to perform to those standards, utilizing two electric motors that are capable of producing 402 hp via upgrades and a maximum range of 500 kilometers. That’s then coupled with a permanent AWD system which promises to deliver a comfortable, yet powerful performance. While many of the technological feats are being kept under wraps, there are multiple items that we currently know that are being included in the vehicle. Multiple high definition screens found on the instrument panel and behind both the driver and passenger seats. The screens can be used to display vehicular information including GPS navigation. Instead of side-view mirrors, there are cameras which are displayed on the side panels of the doors. 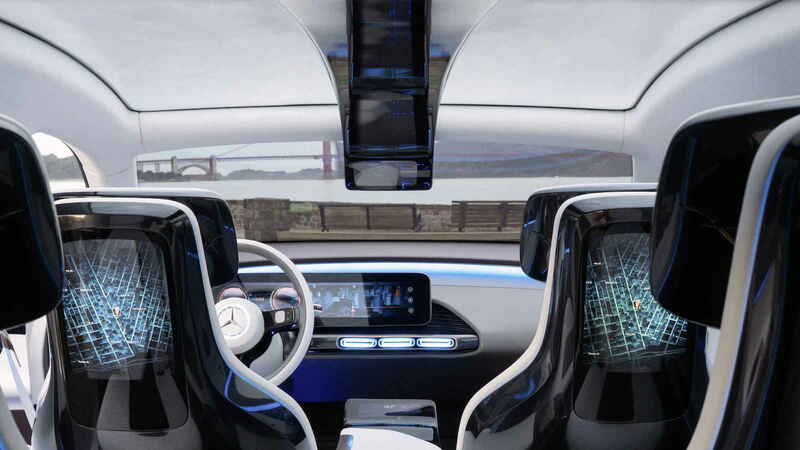 The computer will also utilize an Intelligent Driver Assistance program, similar to the ones available on previous S-class models.